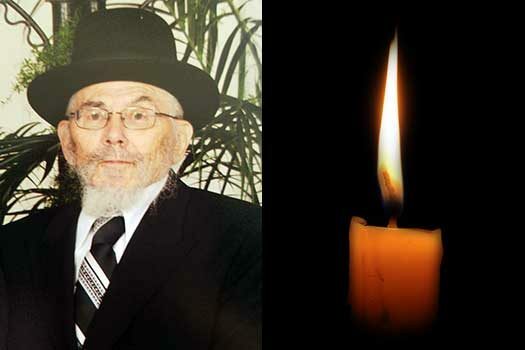 Rabbi Sholom Dov Ber Hakohen Gutnick, a senior Chabad Rabbi in Australia who was instrumental in building and leading the community’s institutions, passed away at the age of 94 on Wednesday Night, 25 Iyar 5778 (Australian Time). Born in Russia in 1924, he was 3 years old when his family escaped the KGB and immigrated to the Holy Land of Israel. One year later they were sent by the Frierdiker Rebbe to London, England, where his father Rabbi Mordechai Zev Hakohen Gutnick , a tamim of Lubavitch, served as the first Shliach to London until his passing in 1931, at the age of 35. 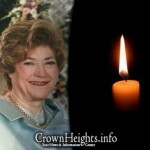 He attended the Etz Chaim Yeshiva, studying there for 8 years and was known as a tremendous Masmid. He received Semicha and Dayanus from such Gedolim as Rabbi Yechezkel Abramsky, Rabbi Greenspan, Rabbi Binyominson and Rabbi Rabinow and Rabbi Eliyahu Lopian. After the war, in 1946, he went to teach at the Yeshiva in Montreux, Switzerland. A year later, upon returning to London in 1947, Rabbi Gutnick was appointed as the Rabbi of Chevra Shas shul. He would give many lectures and Torah classes to students and working people. In 1948 he traveled with his mother to New York, and during a Yechidus with the Frierdiker Rebbe, was told that he should go to Australia to spread Yiddishkeit there. He immediately traveled to Sydney, Australia with his mother, where he gave Gemara Shiurim and lectured to young professionals. In 1952, he married Devorah Feiglin OBM and they settled in Melbourne, where he became one of the most influential Rabbis in Australia. Rabbi Gutnick was one of the main driving forces behind the fledgling Yeshiva in Berwood, Australia and later in the city of Melbourne. The Rebbe encouraged him with dozens of letters to be involved in the Yeshiva. He was appointed one of the first Roshei Yeshiva to teach there. 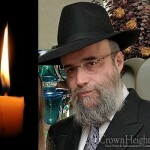 His teaching skills were extraordinary and still today many students recount how they remember his shiurim. The Rebbe once wrote to him that his Neshama’s shlichus in this world was to be involved in that Yeshiva. He taught there for over 50 years. The Rebbe encouraged him to write Chiddushei Torah and instructed him to speak at the Kinnus Torahs in New York. After his marriage in 1952, he was appointed the Rov of Caulfied Hebrew Congregation in Melbourne, a haven for European Jewry after the war, which eventually became the largest Shul in Australia. The shul was later renamed Ahavas Sholom in honor of their beloved Rabbi. The Rebbe instructed him to accept the appointment, on condition that it would not interfere with his work in the Yeshiva. He served there for over 40 years, opening a Kolel Tiferes Zekainim in later years, where he taught as well. In 1953, he was appointed as a Dayan and later as Av Bais Din of the Melbourne Beis Din, where he served for almost 50 years. While serving at this post he corresponded with many Gedolei Yisroel. In 1968, the Yeshiva Gedolah of Melbourne was established, and the Rebbe requested of him that he be involved in the growth and strengthening of the yeshivah which was small at the time. The Rebbe gave Rabbi Gutnick many Kiruvim, and in 1969, during a Yechidus, the Rebbe asked him to be his ambassador to Italy, France and Israel. The Rebbe instructed him to speak and encourage the Shluchim there. Rabbi Gutnick was an extremely gifted orator, and a person who was known to always uplift others around him. He was active in the community and in all aspects of Judaism in Australia, traveling around Australia and Tasmania to spread Yiddishkeit. He was involved in the Rebbe’s Mivtzoim, and made the first “Sukkah mobile” in Australia. He once shared with the Rebbe a story that happened to him involving Mivtzah Tefillin, and the Rebbe responded to him with several stories of how Mivtzah Tefillin had affected entire families and brought them back to Yiddishkeit. 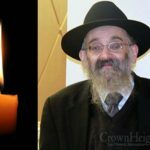 He is survived by his children R’ Motty Gutnick – Melbourne, R’ Meyer Gutnick – Crown Heights, R’ Moshe Gutnick – Los Angeles and R’ Yossi Gutnick – Melbourne, grandchildren and great-grandchildren. Nichum Availim and Tefillah will take place at 829 Montgomery Street.